« Steve’s a Poster Boy! 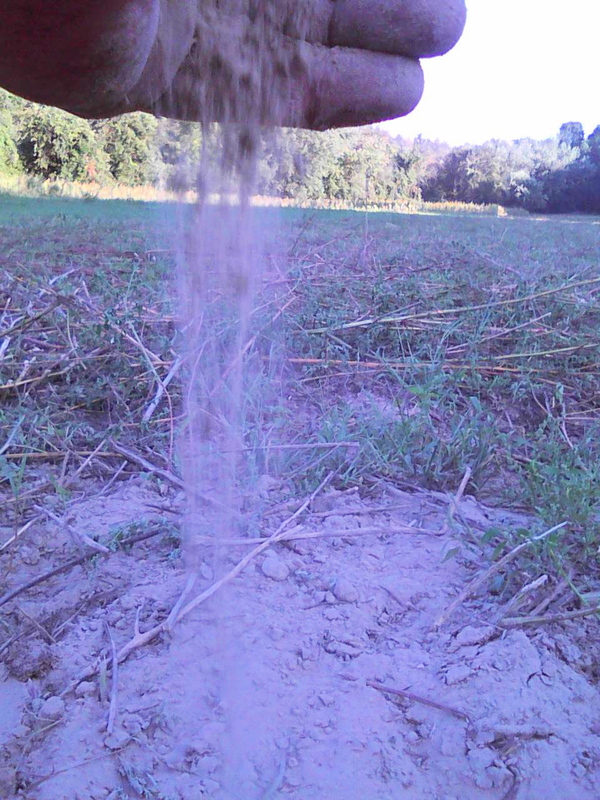 The soil on the farm is very sandy as can be seen in this photo (looks like the sand found at the beach). The soil drains very quickly and does not retain moisture like heavier clay soils. The only way to improve the water retention in this type of soil is to increase the organic matter in the soil by adding dead vegetation. This is one of the benefits of mob grazing and why we encourage our cattle to trample as much vegetation as possible. Once the vegetation is trampled into the soil, it supplies food for all the soil organisms who in there turn compost it, to make new top soil. By doing this we will be able to build a strong sod which will then prevent erosion by wind, and leaching of the minerals in the soil in the annual flooding in the spring. It’s a process that takes many years. In the meantime, life’s a beach. I’m just learning this myself, what it takes to fix a sand yard, brutalized from being stripped by the builder. Alfalfa, annual rye and other things that go way down in the soil, die and add organic matter back to the sand.